Justice Mary Beth Kelly was elected to the Supreme Court on November 2, 2010. On August 17, 2015, she announced her resignation from the Supreme Court effective October 1, 2015. Prior to becoming a judge, Kelly worked in the private practice of law. She joined the law firm Dickinson Wright in 1987 and became a partner at the firm, where her work focused on commercial litigation. She was appointed to the 3rd Circuit Court in 1999 by Gov. John Engler, where she served for 11 years. 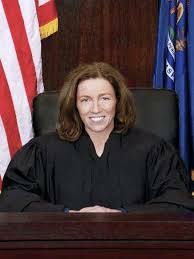 She served as Chief Judge until 2007.